Photographer, Nicole Heitzman, has always had an interest for anything RUSTIC! Old buildings, weathered wood, old milk cans, rusty old cars, & antique items. They all have a unique appeal to them. They tell a story to you. 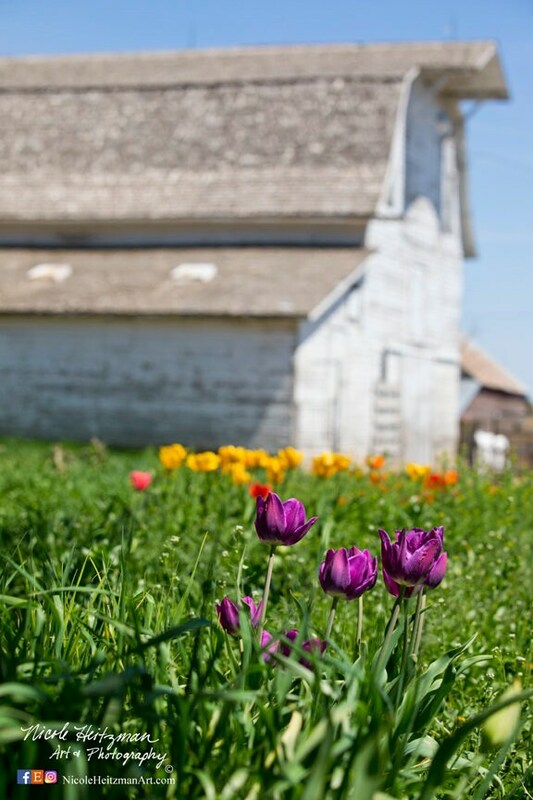 This scenery has an added bonus with both the big white barn and the bright spring flowers. This beautiful old barn is located in Eastern South Dakota! It has that rustic country appeal that makes for a great accent to your decor. The perspective from the bright green flowing grass gives you that lazy day summer feel where you can listen to the birds chirping away in the tree-tops. This print is a 16" wide x24" high photo print on Metal. The print is created by fusing the image into aluminum metal for incredible visual depth and luminosity. Screen color may vary from the actual print.